US News & World Report recently announced that Thornton Law Firm has been recognized as one of the Best Law Firms for the year 2014. US News started ranking firms through Best Lawyers in 2010. Thornton Law Firm has been a nationally ranked Tier 1 Best Law Firm in Mass Torts & Class Actions since the first edition. Thornton Law Firm has gained national recognition representing victims of toxic exposure, including asbestos products, lead paint, and defective pharmaceuticals. 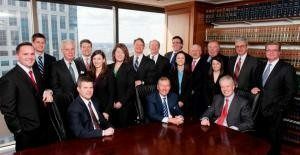 Representing plaintiffs exclusively for 40 years, Thornton Law Firm is New England’s largest plaintiff-side law firm. We have a strong reputation for fighting for individuals injured by defective products, toxins, workplace injuries, and fraud. For further information please visit our website or call us at 888-491-9726.